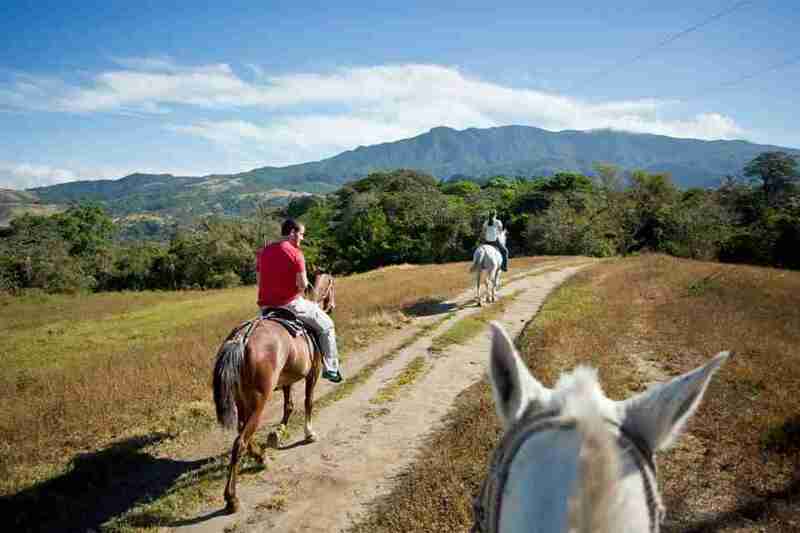 Buena Vista Mega Combo Tour offers the best and most complete combo adventure tour in Guanacaste. The tour includes zip lines or hanging bridges, natural hot springs, waterfalls, and the longest water slide. Buena Vista Mega Combo Tour will make you feel your adrenaline rise to the maximum with the Canopy Tour. It consists of 10 cables and 11 platforms gliding through the top of the trees of the semi-humid tropical forest. 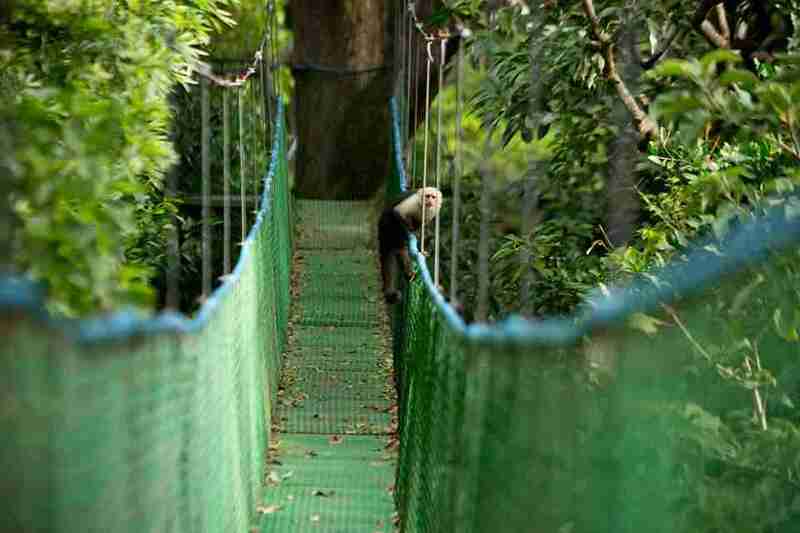 While the visitor is traveling on the top of the trees it can enjoy a diversity of flora and fauna as birds and howler, spider, and, white face monkeys. The water slide consists in 400 meters of pure adventure and excitement in the middle of the Tropical Forest. This is done with all the necessary security equipment. 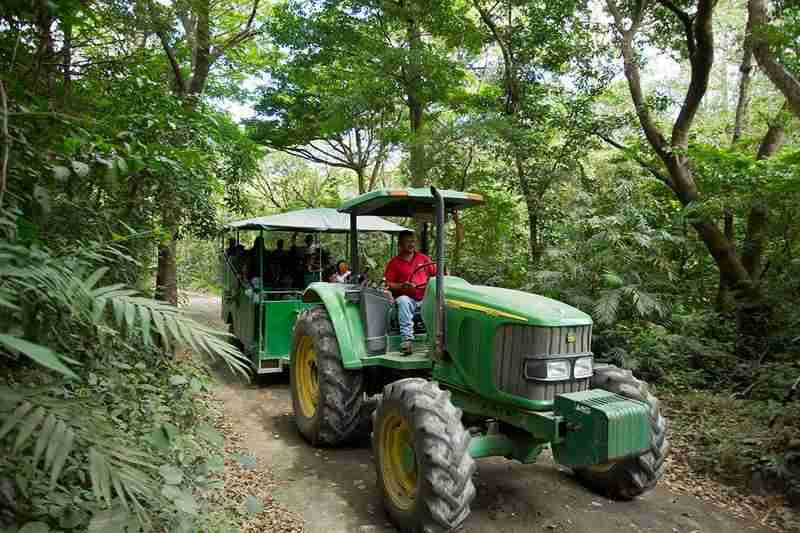 This is a tour through the forest and the diversity of flora and fauna. Buena Vista Mega Combo Tour also enjoy three beautiful waterfalls, first one is sulfur, the second one from a small slide of natural water and our visitors can swim in it, and the third one is the biggest one of them, you can take the horseback riding or walk, it takes 3.5 to 4 hours. You will enjoy in 5 pools of crystalline thermal water from natural sources, volcanic mud and sauna, under the shade of the forest and surrounded by two rivers. that flow from the volcano which makes it a unique place to recharge your batteries in nature. Enjoy a unique experience of adventure and relaxation, integrating the harmony of nature and the charm of a rustic culture of Guanacaste farm, situated next to the rainforest. Playas del Coco, Playa Hermosa, Ocotal, Secrets Papagayo, Mangroove Hotel, Andaz Papagayo, Planet Hollywood Hotel, Riu Guanacaste Hotels, Four Seasons Peninsula, Grand Papagayo, Tamarindo, Conchal, Flamingo and surroundings. Min 2 people to operate the tour. Transportation, Tour Guide, Zip Lines, Water Slide, Hot Springs, Mud Bath, and Lunch. What to bring: Hiking Shoes, Water shoes or strap sandals for the water slide, Swimsuit, Sun Block, Insect Repellent, Camera, Extra Clothes, and Towel.